Curaçao is an island country about 60 km long and 8 km wide in the southern Caribbean, just off the coast of Venezuela [see area map]. It is slightly larger than Barbados and today has about 140,000 residents, most of whom live in its capital, Willemstad. Curaçao was considered part of the Netherlands Antilles until that group was dissolved in 2010; it is now simply part of the Kingdom of the Netherlands. The official language is Papiamentu, a Creole mixture of Spanish, English and Dutch. The principal industries are tourism and oil, which was discovered in the region in 1914. 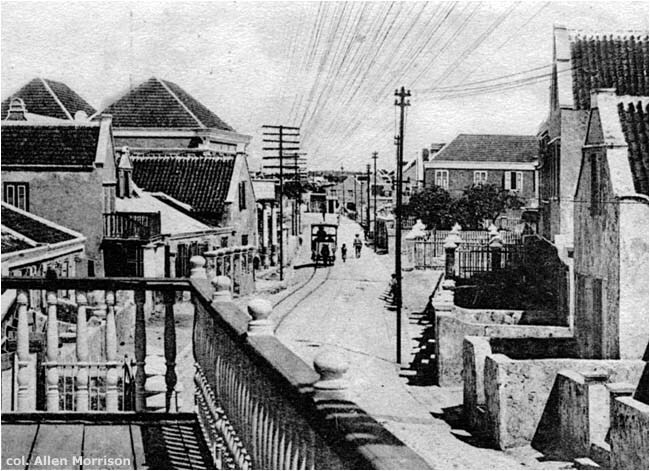 On 1 June 1896 another company, Curaçaosche Paarden Spoorweg Maatschappij (Horse Railway Company), began running a tram on Breedestraat in Otrabanda, from the bay to the cemetery on Rodeweg. Photographs show a vehicle identical to the model in Punda, so it was presumably either borrowed from Punda or acquired from the same source. 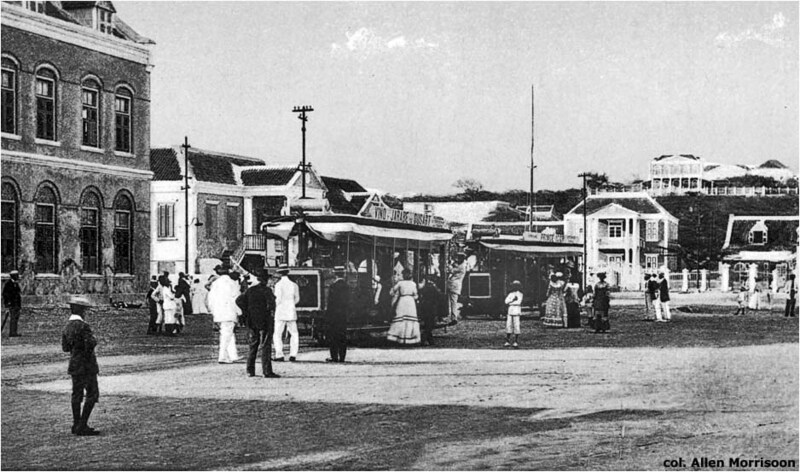 The Otrabanda tramway ran only seven months, closed in December 1896. 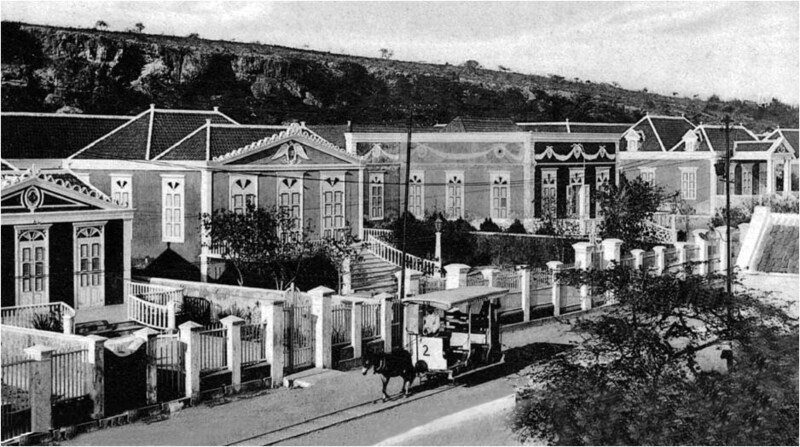 The first automobiles appeared in Willemstad in 1910 and there were 50 by 1914. That was also the year that war broke out in Europe. Parts were impossible to obtain from Britain and tramway service declined. The government complained, but the company explained that in nine years of operation it had recouped less than half of its investment. 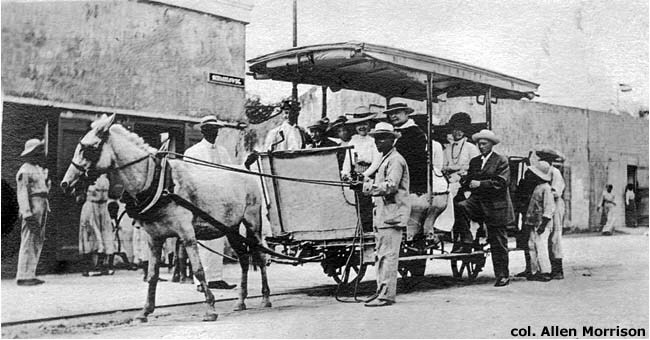 The line closed in July 1920 and the gasoline trams were allegedly shipped to Venezuela. 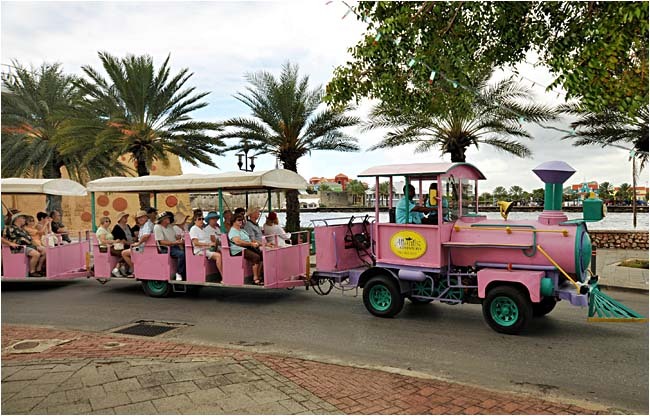 Thirty-three years of street railway service in Willemstad had come to an end. 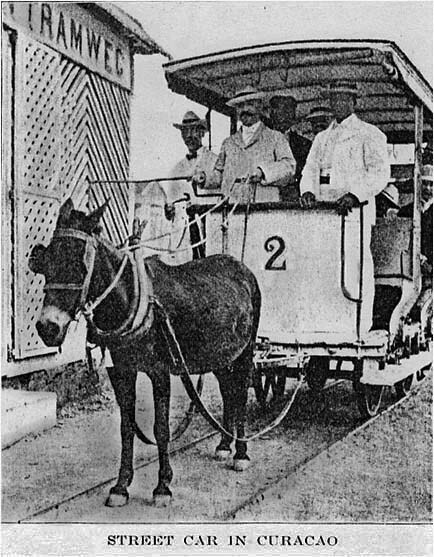 "Traction in Curaçao" in Street Railway Review (Chicago), 20 IV 1904, p. 254. Brief description of a visit includes second illustration on this page. "Gasoline Car for Dutch West Indies" in Electric Railway Journal (New York), 7 X 1911, p. 673. 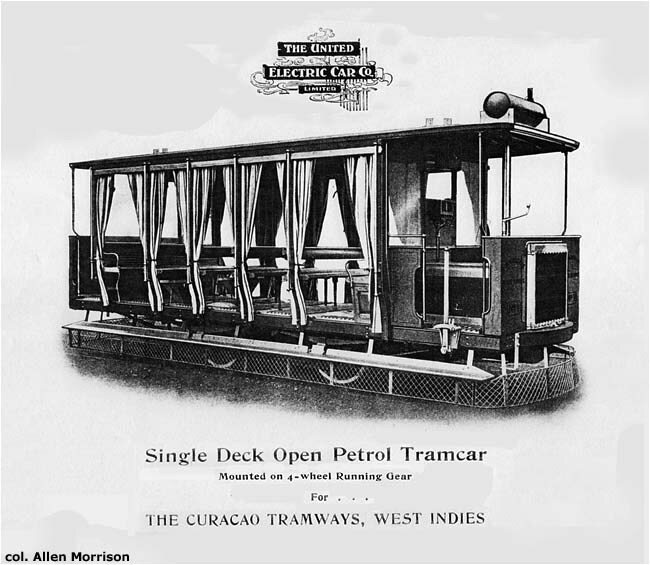 Two pictures and a detailed, full-page description of a Curaçao petrol tram. 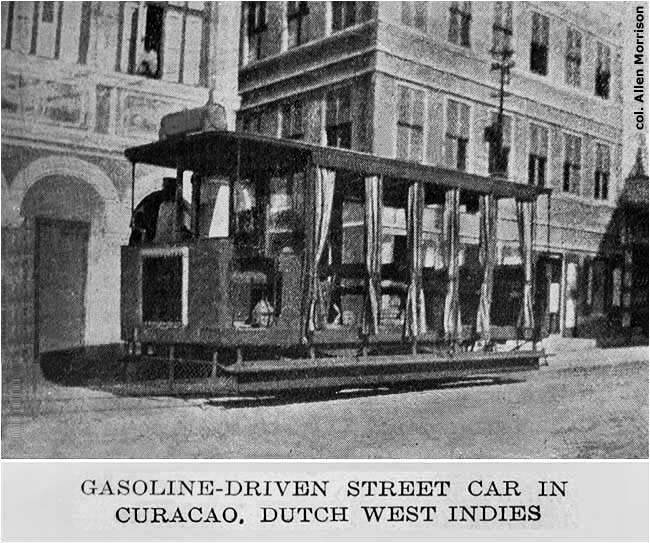 "Gasoline Cars of Curaçao Tramways" in Electric Railway Journal (New York), 5 XII 1914, p. 1247. 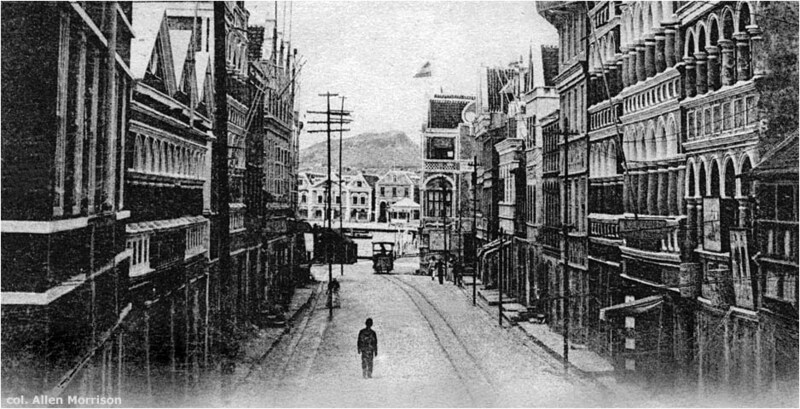 Photograph and a short article about the Willemstad operation. "Curaçao Antedates Ford" in Electric Railway Journal (New York), 3 VII 1920, p. 20. Henry Ford suggested using gasoline to power urban and interurban tram cars. Curaçao has already done it. Article includes third-last illustration above. Lee A. Dew. "De Trams van Willemstad" in Op de Rails (Den Haag), 1975-10, pp. 223-227. 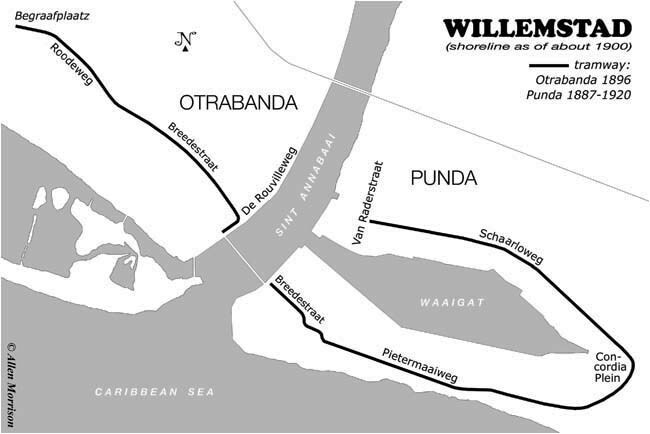 Illustrated history (in Dutch) of the Willemstad tramways. It is not known if this article was also printed in English. The text was expanded two years later in the book below. Lee A. Dew. The Railroads of Aruba and Curaçao / Railverkeer op Aruba en Curaçao. Rotterdam, 1977. Most of the 108-page bilingual text concerns Aruba. 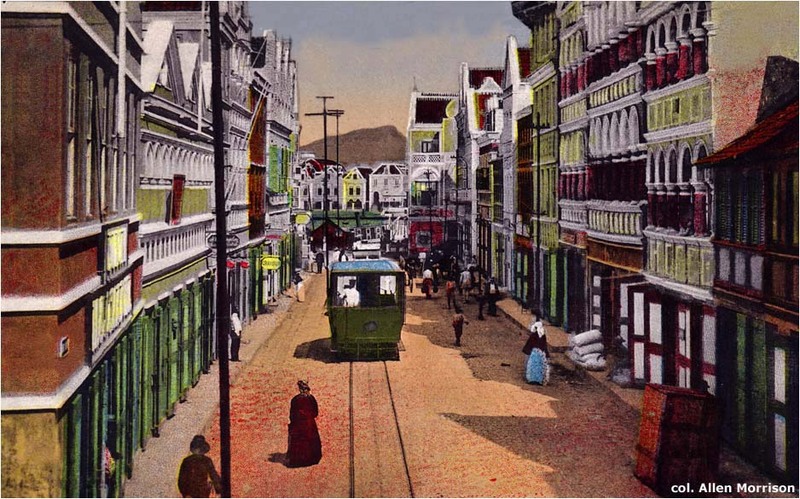 Chapter 5 on "The Trams of Willemstad / De Trams van Willemstad", pp. 84-101, is an expansion of the article cited above. Six pictures and an undated early map. Good background information and corporate detail, but the text is generally weak on dates and says that the horsecars were of an American design and probably came from the U.S.A. They in fact look like European plantation trams and bear no resemblance to streetcars that ran in the U.S.A.
Thomas Kautzor. The Railway of Curaçao, 2014. A brief history of the phosphate industrial line and a report on the author's 2014 visit. Locomotive inventory and nine beautiful illustrations. This site was placed online on 23 July 2012.